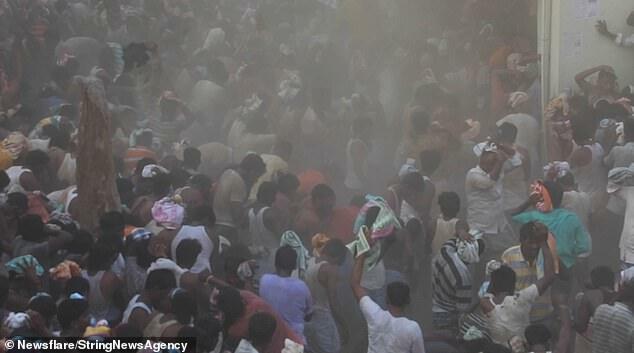 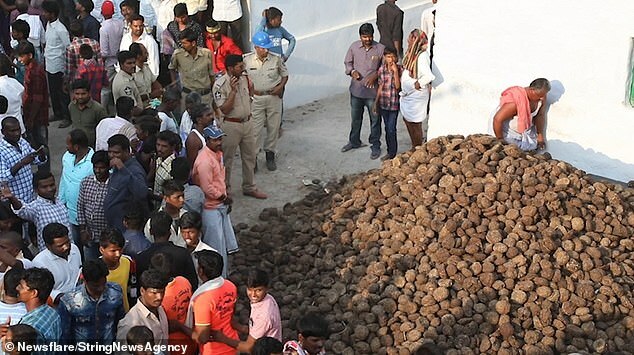 Thousands of villagers descended on a pile of manure to take part in an annual 'good health' battle today. 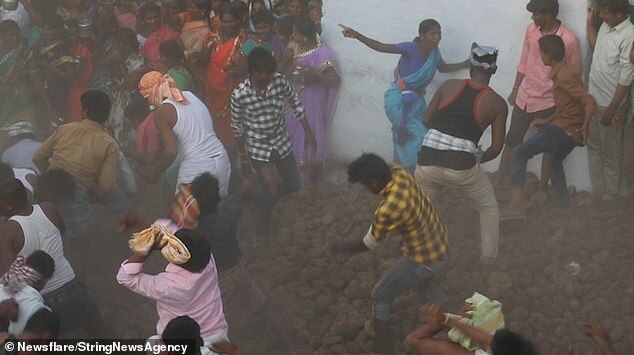 It is a yearly tradition in the village of Kairuppala in Kurnool, southern India, for members of rival villages to gather for the Pidakala War. 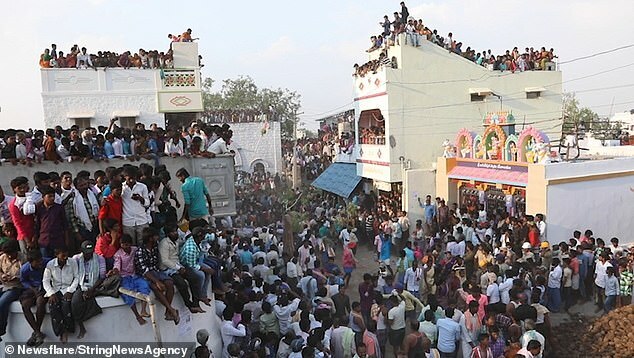 The custom takes place the day after the spring festival Ugadi and is a symbolic war about a mythological marriage dispute, reports the Daily Mail.